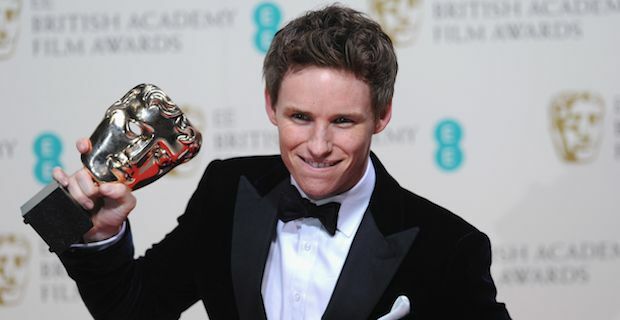 Eddie Redmayne warmed up for the Oscars in style at the 2015 BAFTA awards by picking up the Best Leading Actor award for his portrayal of Professor Steven Hawking in The Theory of Everything. Julianne Moore was named best Leading Lady for her stellar performance in Still Alice. The Theory of Everything was one of the biggest winners on the night as it also took home Outstanding British Film as well as Best Adapted Screenplay. the other film to do quite well was The Grand Budapest Hotel which took home a whopping awards including Best Original Screenplay, Original Music and Costume Design. Boyhood took the award for Best Film while director Richard Linklater was also named Best Director for the coming of age drama. Patricia Arquette completed ann impressive trio of winners for tor the film with the Best Supporting Actress gong while Best Supporting Actor went to JK Simmons for his powerful turn in Whiplash. In the animation category, The Lego Movie beat out some very stiff competition from The Boxtrolls and Super Hero 6 to win Best Animation. Birdman took home Best Cinematography which came as no surprise given the ambitious scale and artistic achievement of the film. Interstellar was rewarded with an award for Special usual Effects and Jack O' Connell was named the EE Rising Star in recognition of his role as Louis Zamperini in Angelina Jolie's Unbroken. The awards ceremony was not without controversy on the night, however, as somehow fans favourites Rik Mayall and Bob Hoskins failed to be included in the In Memoriam section honouring fellow film luminaries who have died within the past year.